At Castlefield Gallery, SUBI 수비 brings together a diverse group of experimental artists, product designers and master makers. All are highly skilled as a result of either formal training, self-teaching, or passing down from one generation to another. They place great value on the transfer of skills, knowledge and ideology through objects and making, and see this form of exchange from one generation to another, and from one culture to another, as integral to creating and communicating the world in which we live. The exhibition will feature traditional ceramics alongside works which explore the materiality of clay with ceramic costumes, film, and sound. Visitors to the gallery will also be invited to add their own handmade clay objects to the exhibition. SUBI 수비 is presented to be timed with Asia Triennial Manchester, 5-21 October 2018. 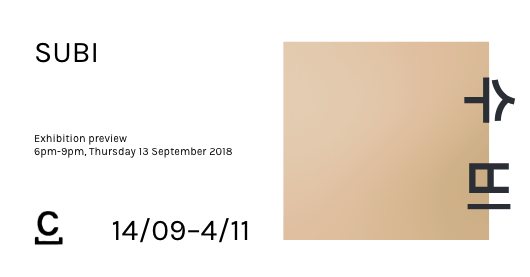 The SUBI 수비 programme has been informed by a series of international artist exchange residencies that have connected the artistic communities of Manchester and the North West of England with those of Busan and Gwangju in South Korea. As a result, cross-cultural influences are apparent in many of the exhibited works.The participating artists involved in the SUBI 수비 programme, who have travelled between the UK and Korea, are Sam Buckley (UK), Joe Hartley (UK), Eunji Briller Kim (Korea), Hyun Min Shin (Korea), Gae-Hwa Lim (Korea), and Gyung-Kyun Shin (Korea).